“the characters live and breathe"
My fourth novel is a dark crime thriller about Paul Maloney, a small-time private investigator who against his better judgement takes on a case brought to him by his ex-lover, Dominic Allen. Soon he finds himself battling with the forces of big business and international crime, and his own life comes under threat. Can he solve the puzzle and protect those he loves before it's too late? This novel is published by PD Publishing and available from Amazon UK, priced from £4.73, and from Amazon US, priced from $10.38. 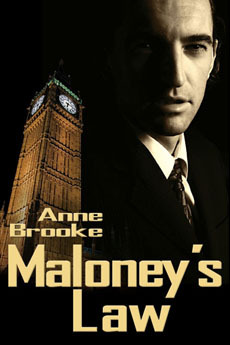 "Maloney's Law" was shortlisted for the Harry Bowling Prize 2006 (for novels set in London) and the Royal Literary Fund Mentoring Scheme, and longlisted for the Betty Bolingbroke-Kent Novel Award.